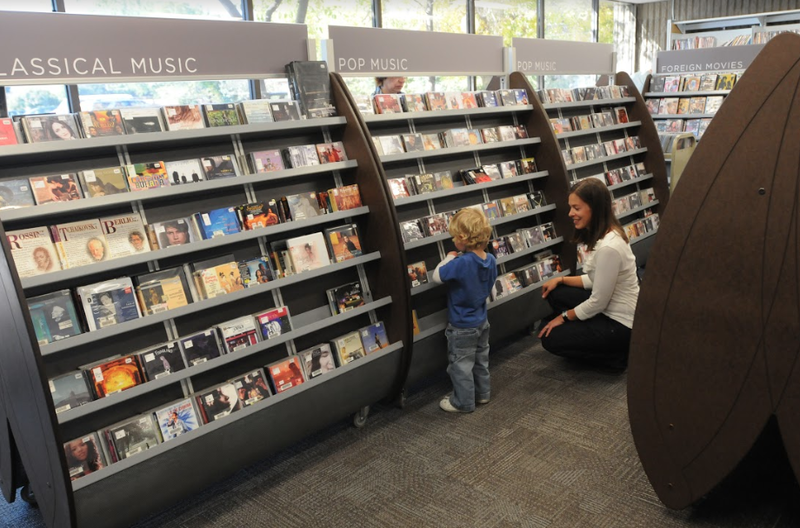 The Bug units are freestanding, mobile digital media merchandisers. 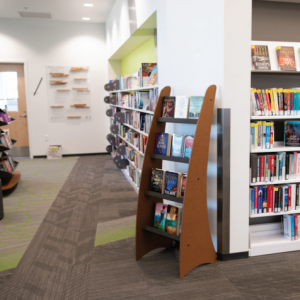 The unique lines and shape of the unit set it apart visually, while the mobile and linear chaining attributes open creative layout options for librarians to design and evolve their space. 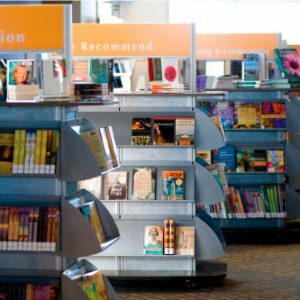 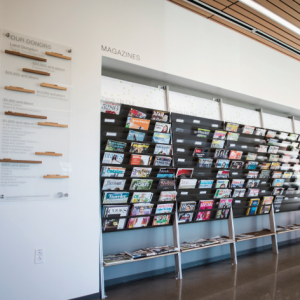 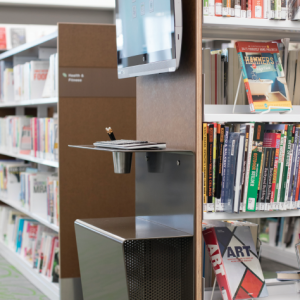 We’ve learned that offering this creative control of space to librarians is key because it allows them to continually recognize and meet the needs of their patrons. 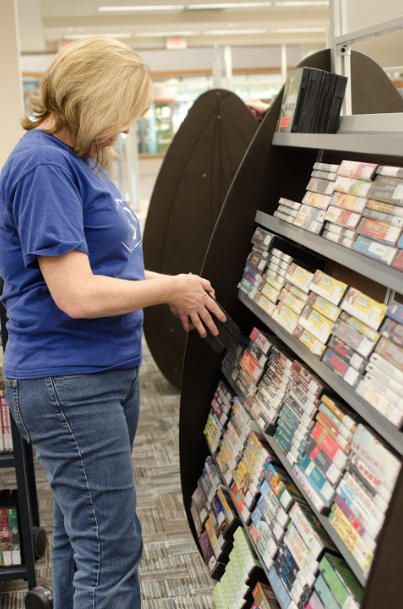 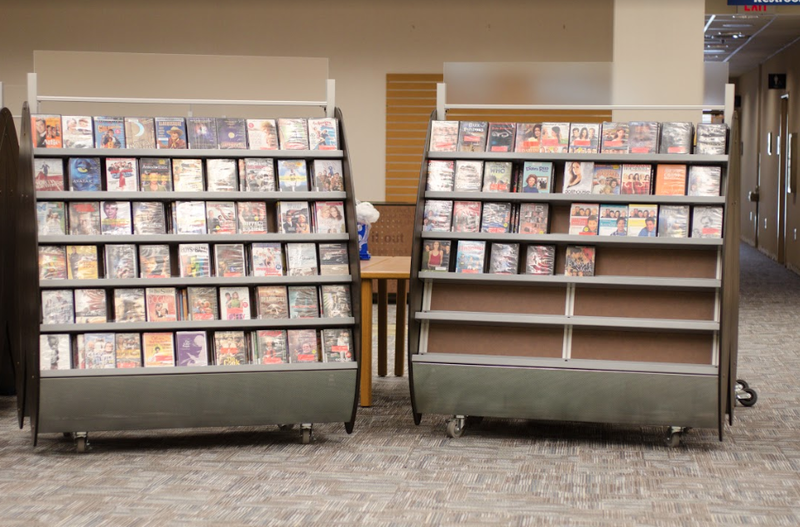 The shelving is gently angled back which presents a stable multifaceted merchandising display option with infinite adjustable heights– the orientation allows lots of items to be efficiently presented to browsing patrons. 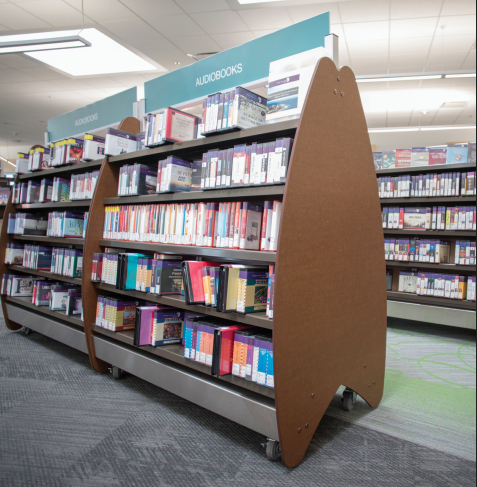 The wayfinding signage above the units allows librarians to clearly lead clients to the items that they are interested in perusing.